Website speed becomes an obsession of search engines like Google and one of the reasons is the rapid growth of mobile internet browsing. If you’re working with the web (developers, designers, bloggers and students), it is now a requirement to have knowledge in making a website load fast, and our post for today will give you some ideas on why and how to achieve it. 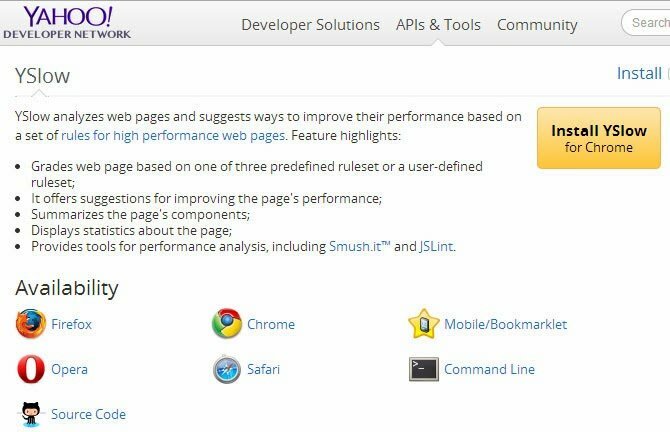 2.1 Pagespeed Insights – analyzes the content of a web page, then generates suggestions to make that page faster. 2.2 Pingdom Website Speed Test – one of the most reliable website speed tester, you can test the load time of your page, analyze it and find bottlenecks. 2.3 Yslow – is also a plugin that grades website and gives statistical information of your website performance. 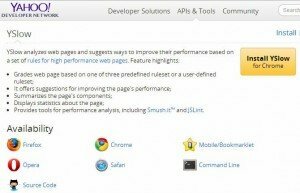 2.5 Weboptimization – analyzes and gives detailed recommendations for site improvement as well as your web page speed report. 3.1 Photoshop – when saving your photo choose the option “Save as for Web and Devices” (see Mike’s post here for a more detailed instruction). Compare the result of your image to its original size; see also if the visual quality changed. In my example image, this is the result of my tests. 3.2 Yahoo Smush.It – “drag or paste your photo urls”. It is a “lossless” tool, which means it optimizes the images without changing their look or visual quality. 3.3 Image optimizer – is also a free tool and can compress image in bulk. Tip: Crop white spaces of images and other unnecessary pixels to reduce file size of your file. 4.1 HTMLCompressor – is a small java library that minifies codes in html and xml by removing unnecessary characters and whitespaces without changing your codes. 4.3 Prettydiff – Minify, beautify and compare your code online. This tool is used by W3.org and Travelocity. Note: If you already use gzip, you don’t need to use some of the tools recommended above. 5.1.2 Use external CSS instead of inline CSS. 5.1.3 Combine Rules and use it once in CSS. <5.2 Cache – Cache your web pages. This is very important specially to an e-commerce website and those sites that have a lot of visitors daily. 5.3 Comment Box – If you guys use comment box system, please lazy load it so that it will load only when the user reaches the lower part of your page. 5.4.1 Some may not be familiar with Google CDN but take a moment to learn and take advantage to use the Hosted Libraries. 5.4.2 Cloudflare – we used this in our ecommerce site and other sites for almost 3 years and so far, we are secured and it is free of charge but they also offer advance services with fee. Note: Some tutorials for you to learn HTML5 are my favorite sites when I was starting w3schools and in advance learning html5 rocks tutorials. Check your Hosting Services if they provide you the best hosting solution and better web performance. You can test their website using the above tools. Shared hosting are usually the worst, especially if your website has a lot of visitors, you should have a dedicated server. Thanks guys for reading my insights, I hope you get new techniques in improving your website speed or projects. Let’s help one another to become a better designer and developer. 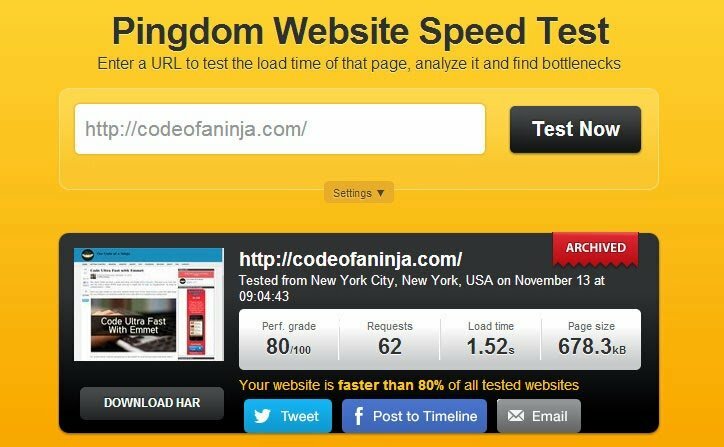 Reference: How to Optimize Your Website for Speed from our JCG partner Mike Dalisay at the The Code of a Ninja blog. it is step by step compelete guide to make a seo friendly website.